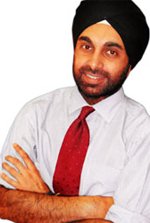 Dr Bansi qualified from Southampton University Medical School in 1988 and trained in Oxford and London. He was appointed Consultant Gastroenterologist and Honorary Senior Lecturer in Medicine to the Hammersmith Hospital NHS Trust and the Royal Postgraduate Medical School (now part of Imperial College) in 1999. Dr Bansi is the lead for interventional endoscopy at the Trust and jointly leads an undergraduate teaching firm at the Charing Cross Hospital site. Available Tuesday Morning or Ad Hoc by Arrangement. Available Wednesday Evenings or Ad Hoc by Arrangement. Available Tuesday 5pm Onwards or Ad Hoc by Arrangement.